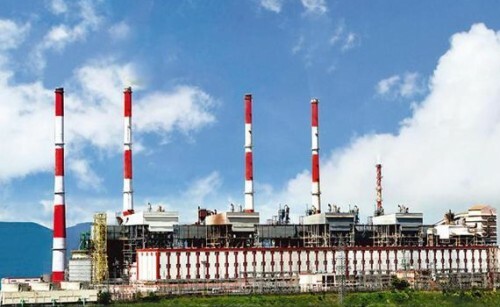 New Delhi, Oct 23 : The state-run THDCIL's proposed Khurja coal power plant in Uttar Pradesh would not only push up the cost of electricity at a time when renewable energy options are cheaper but will also be a threat to Delhi's air quality, a report said on Tuesday. Releasing the report titled "The Khurja Thermal Power Project: A Recipe for an Indian Stranded Asset", the US-based the Institute for Energy Economics and Financial Analysis (IEEFA) recommended that the 1,320 MW proposal should be re-evaluated against severe air pollution levels in Delhi. Also, the real threat of government financing wasted on another expensive stranded asset, increasingly cheaper renewable energy options and India's ambitious sustainable energy goals. The electricity users -- the state and central governments -- and project's lenders should not be burdened with yet another expensive stranded asset at a time when local residents need cleaner energy options, IEEFA Director of Energy Finance Studies Tim Buckley told reporters here. "Delhi already has the dubious reputation of having the worst air pollution of any city in the world. If the Khurja coal plant is built as planned near Delhi, this will increase the impact on local residents, emergency workers and the local government. "The Khurja power plant was feasible when first proposed eight years ago in response to power supply shortages and outages across northern India, but technology has moved on," he said. According to Buckley, renewable energy generation in India is now cheaper than Khurja's non-minemouth coal, with ongoing price declines prompting states, including Uttar Pradesh, to seek solar and wind options to meet incremental demand growth. "The Khurja proposal relies on a prohibitively expensive 900-km-long rail haul to bring coal to the plant. Additionally, the market price of coal continues to increase globally," he said. "Our analysis shows any power generated at the Khurja plant would likely be sold for Rs 5.67 per kilowatt hours, while renewable energy prices today are only plus or minus Rs 3 per kilowatt hours. "The economics of the project look dim. The Khurja proposal must be re-evaluated," Buckley said. Kashish Shah, IEEFA Energy Research Associate and co-author of the report, said India's ambition to sustain double digit economic growth hinges on improving energy security and reducing the cost of power and that requires sensible investment. "India is aiming to achieve 40 per cent of its electricity generation needs by 2030 from non-fossil fuel sources including wind and solar. As a coal-fired power station takes significant time to ramp up power generation, the Khurja power station cannot help with grid stabilisation and peak demands, one of the new requirements of the Paris commitments," Shah told IANS. "As the share of renewable energy options increase, India will need additional firming capacity and wider national grid inter-connectivity to integrate increasing amounts of variable solar and wind generation, and prevent frequency and voltage fluctuations that adversely affect grid stability. "The long delayed, excessively expensive and redundant Khurja project should be cancelled before it becomes another expensive stranded asset in India," he added.